I was going to have this post up on Monday, then I woke up with the flu. I never left my bedroom until Friday afternoon. My munchkin even ended up staying home from school Friday with a fever. It's not been a good week for the NWP household. Even the hubs is away at work and sick as a dog. I couldn't walk to the bathroom without almost fainting. I have no idea how he is working as hard as he does for as long as he does with the flu. This is the first time I think I've ever had the flu, and I do NOT want it again. I'm no where near back to 100%, but with hubs being away, I had to actually leave my room to walk the dog and take care of the kiddo. It was too much for me to walk up and down the stairs, so munchkin and I snuggled on the couch for a bit before I found the energy to type this up. 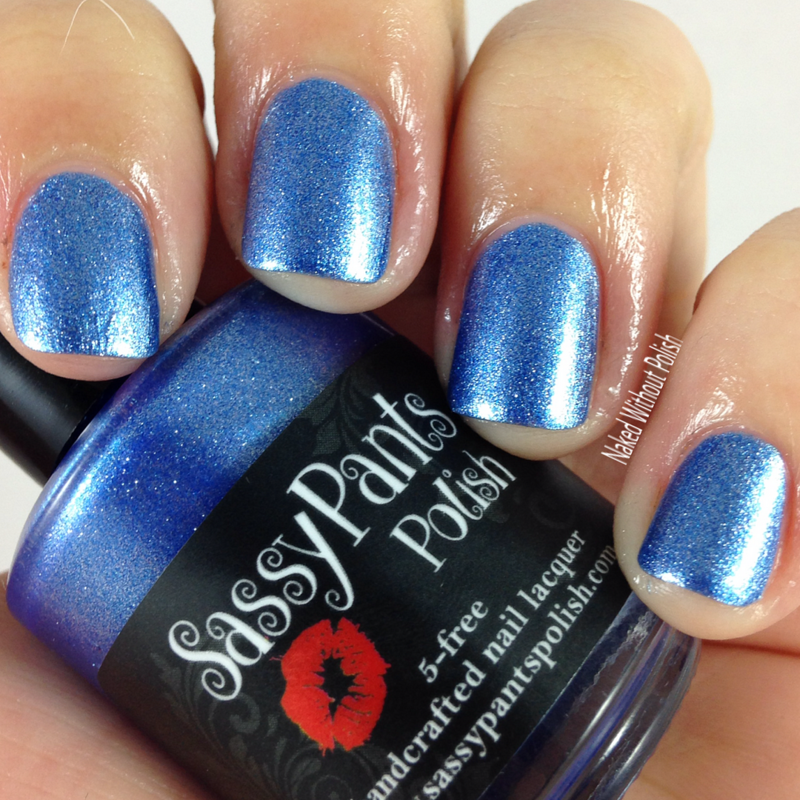 Today, I've got the Winter Trio from Sassy Pants Polish to show you all today. 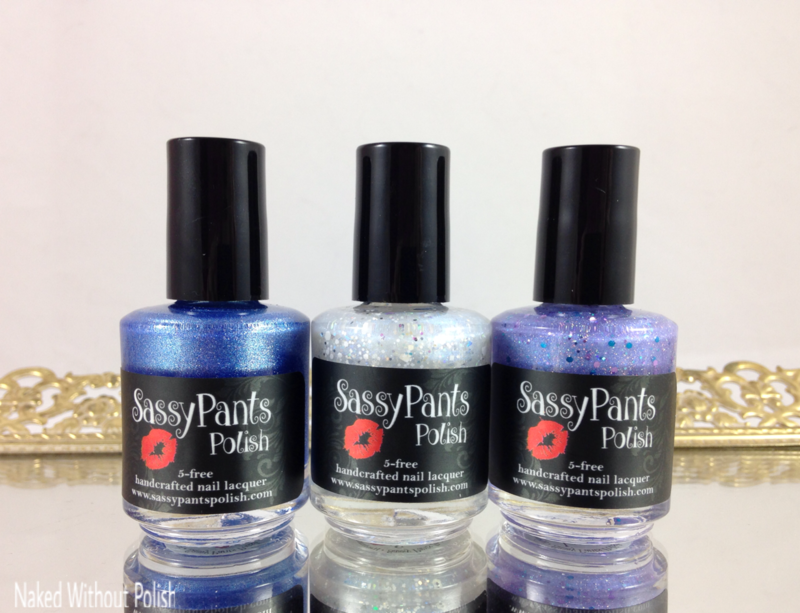 I was first introducted to Sassy Pants Polish when I reviewed the Puppy Love Box. I was very excited when she asked me to review her Winter Trio as well. As I was unwrapping them, my daughter was reading the names, and she squealed with excitement. The Winter Trio is inspired by the Hans Christian Anderson story "The Snow Queen". It is the story that the Disney movie Frozen was loosely based on. If you're not familiar with the work of Hans Christian Anderson, I highly recommend you familiarize yourself with his stories. They are absolutely beautiful. 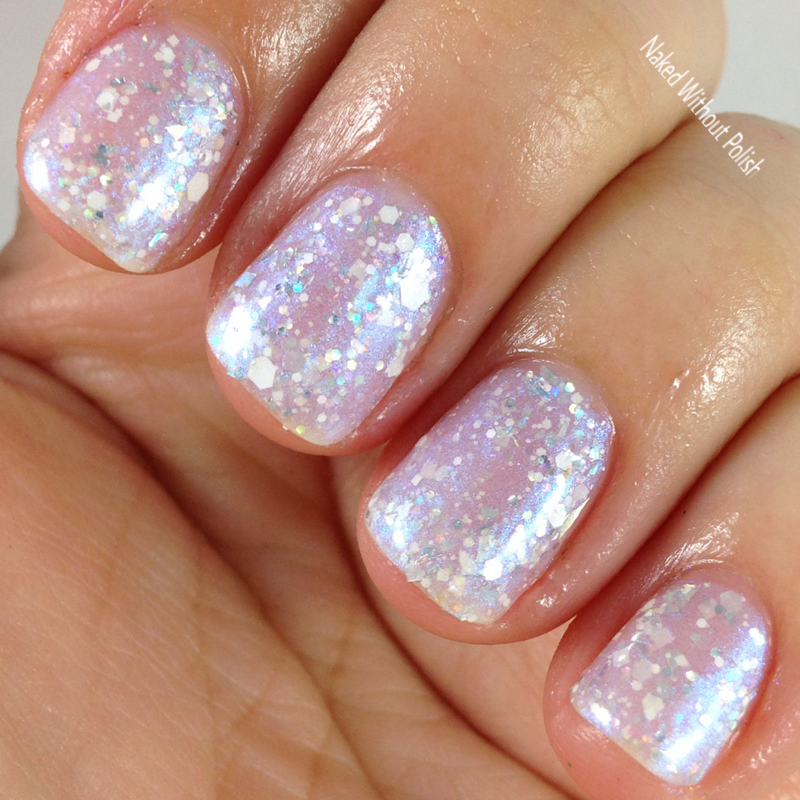 Snow Queen is described as "a glitter topper filled with white and holographic silver glitter and silver holographic shreds". 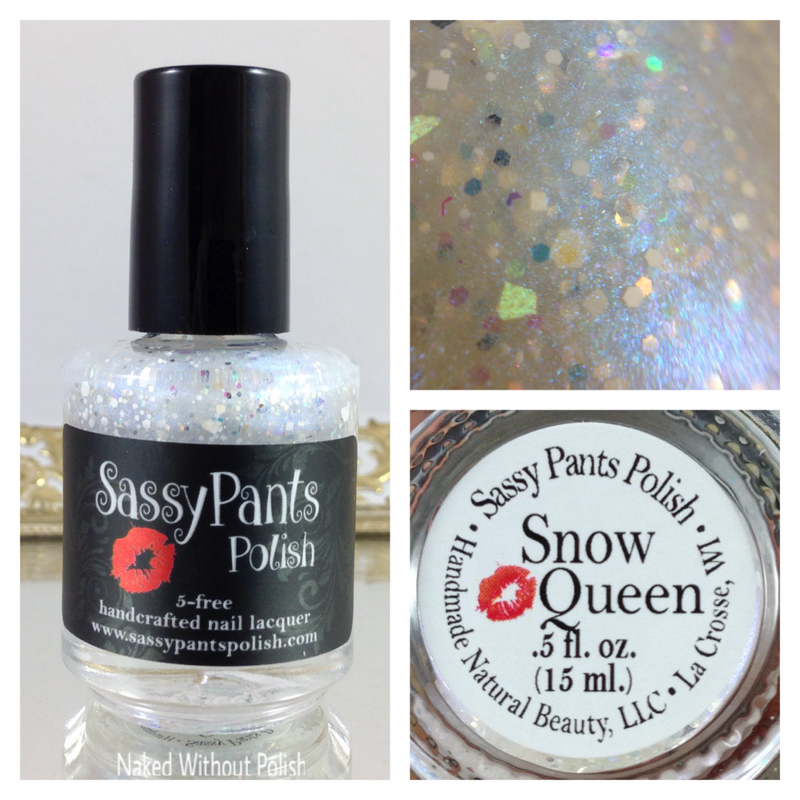 Shown is three coats of Snow Queen with top coat. 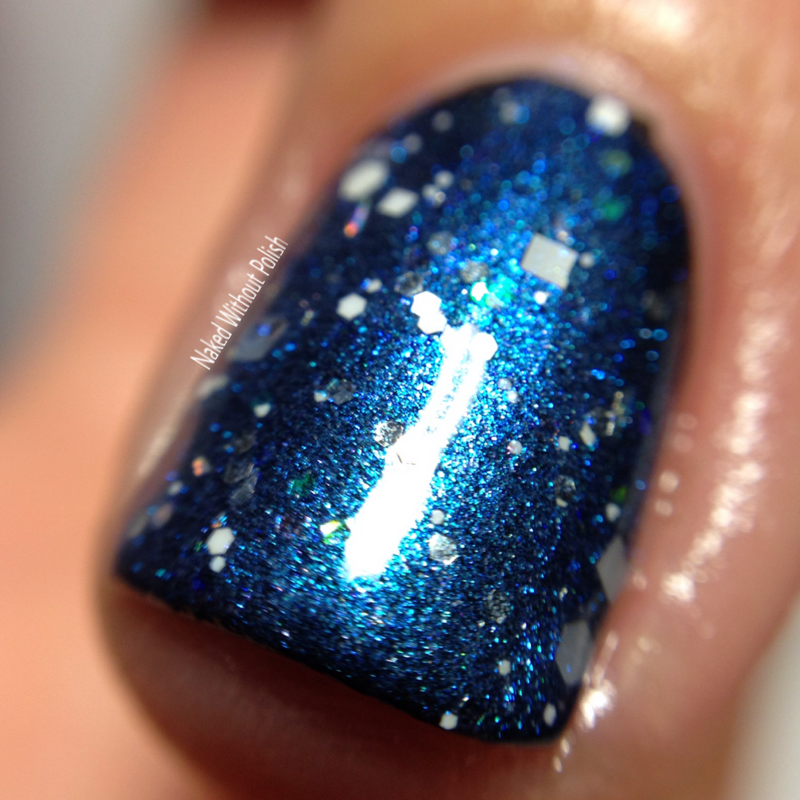 I know it says Snow Queen is a topper, but I really wanted to try it on it's own. 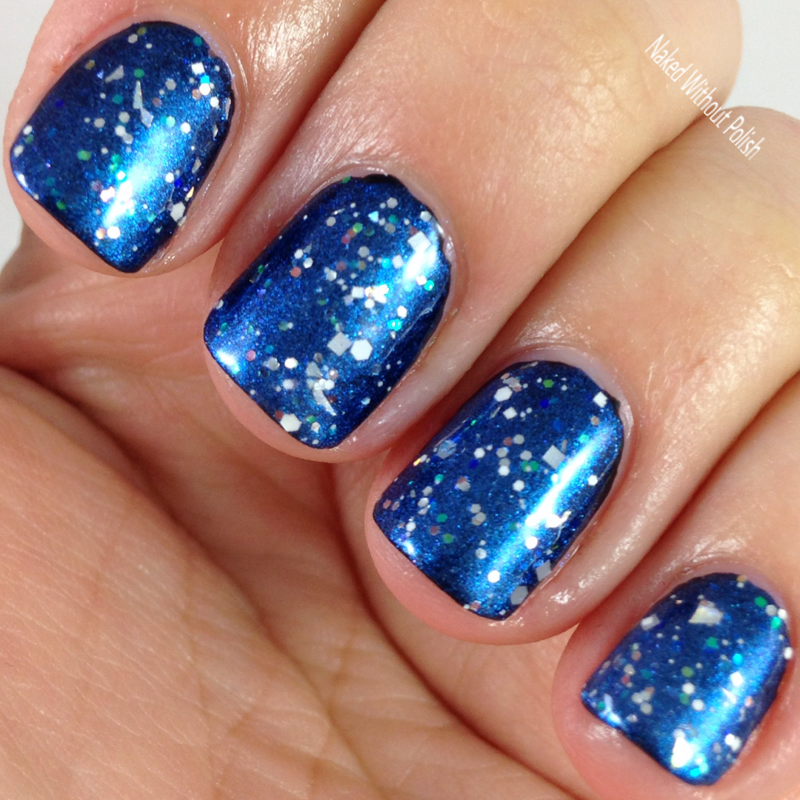 It had a wonderful formula and beautiful application. 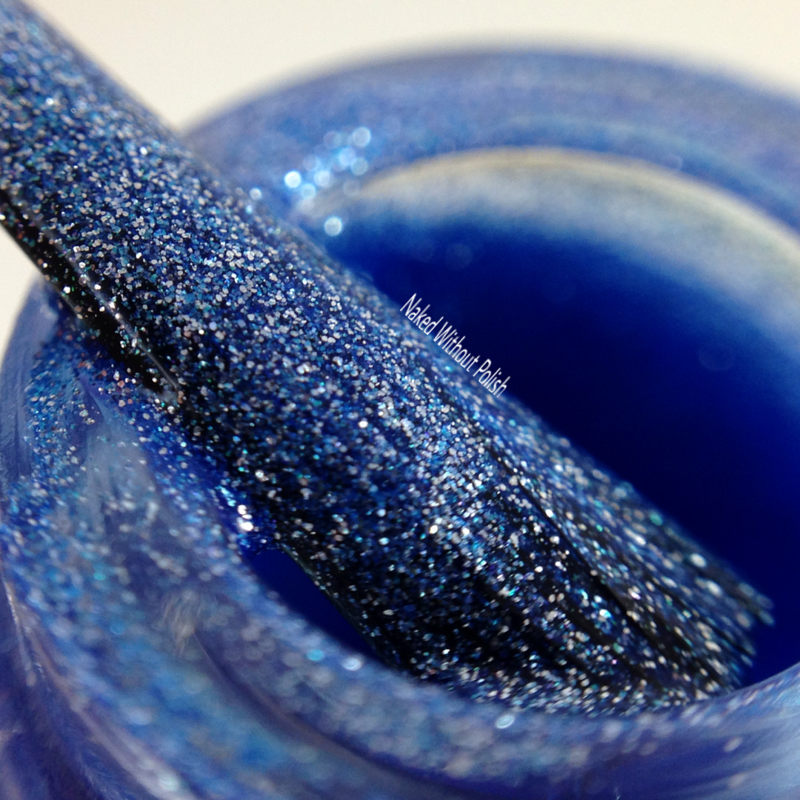 Off the bat you see a frosty, white polish...then you pull the brush from the bottle and the blue shimmer just smacks you in the face. It's so pretty. Of course after trying it on its own, I did apply it over black. Those pictures are below as well. 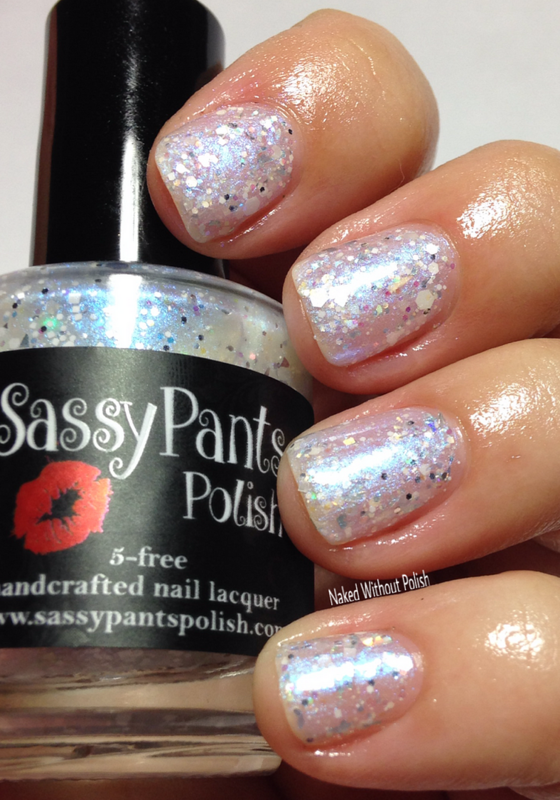 Ice Princess is described as "a holographic glitter filled crelly polish in a light cool blue". 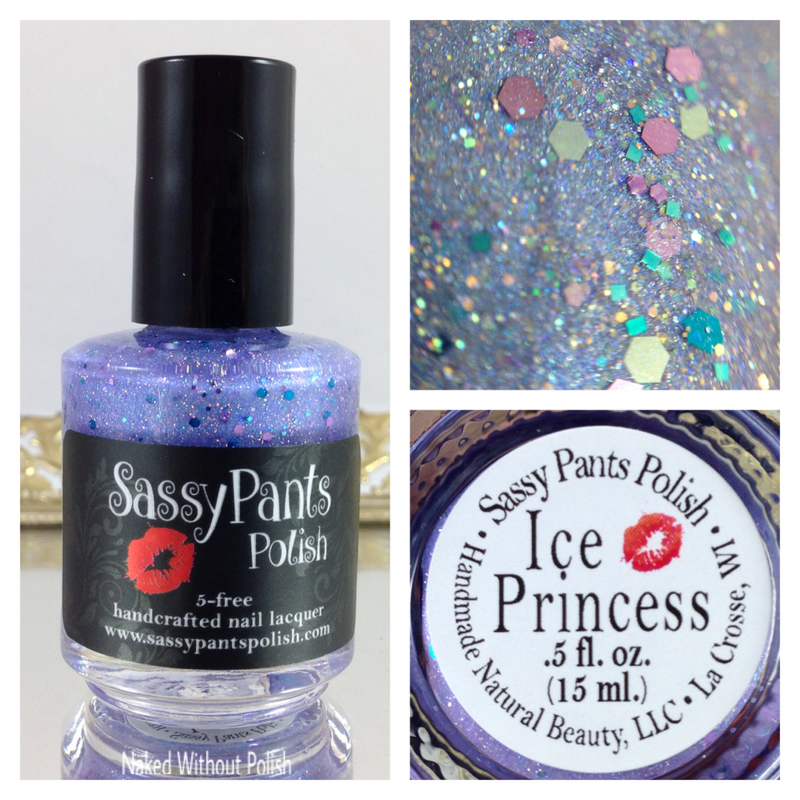 Shown is three coats of Ice Princess with top coat. Ice Princess was the favorite of the three for me. 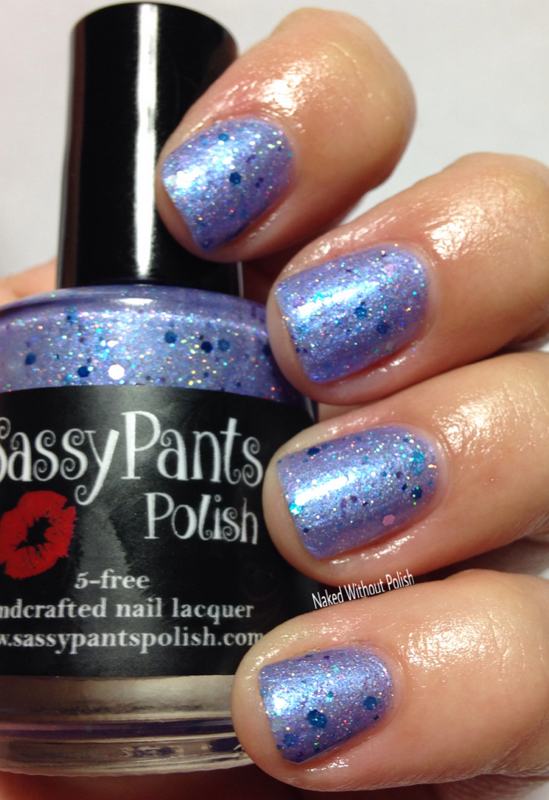 The color is a cool periwinkle with a hidden blue shimmer. 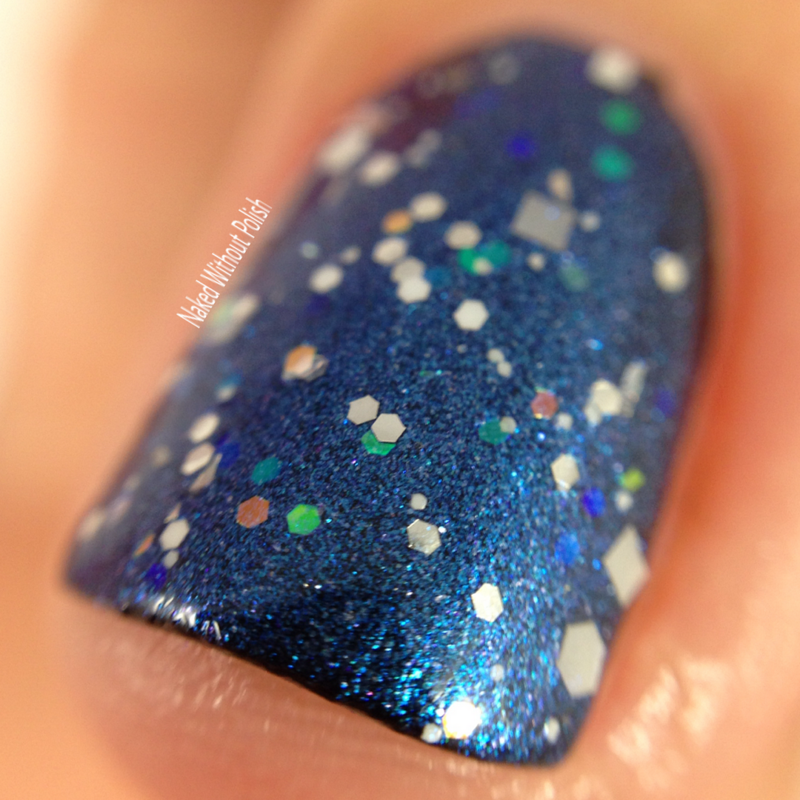 The mixture of glitters elevates the polish into something really special. 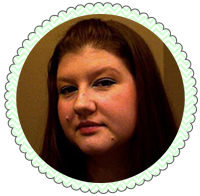 It applies slightly sheer, but is buildable. 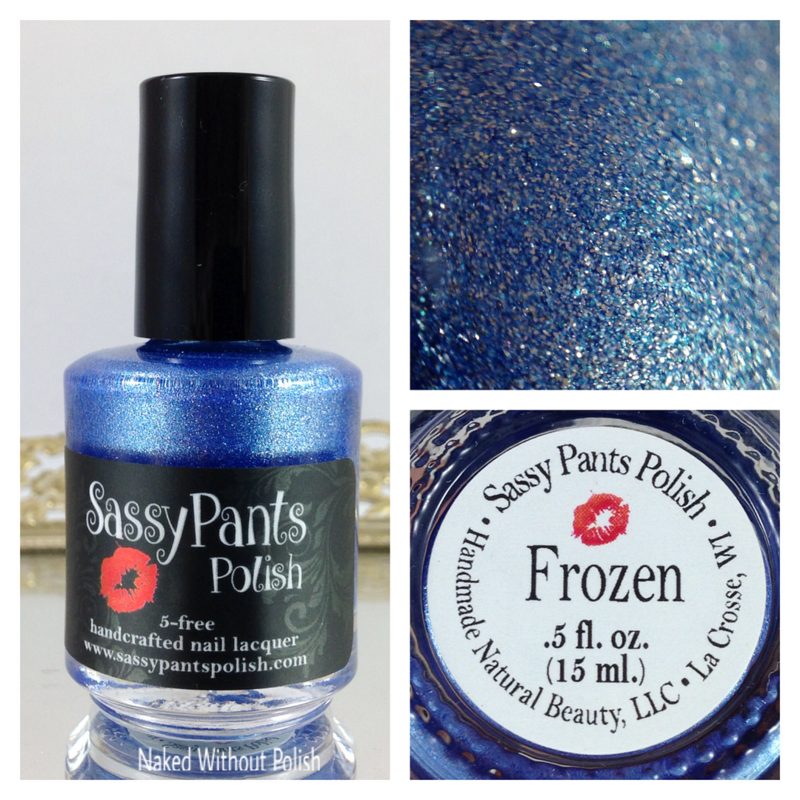 Frozen is described as "an icy blue foil finish". 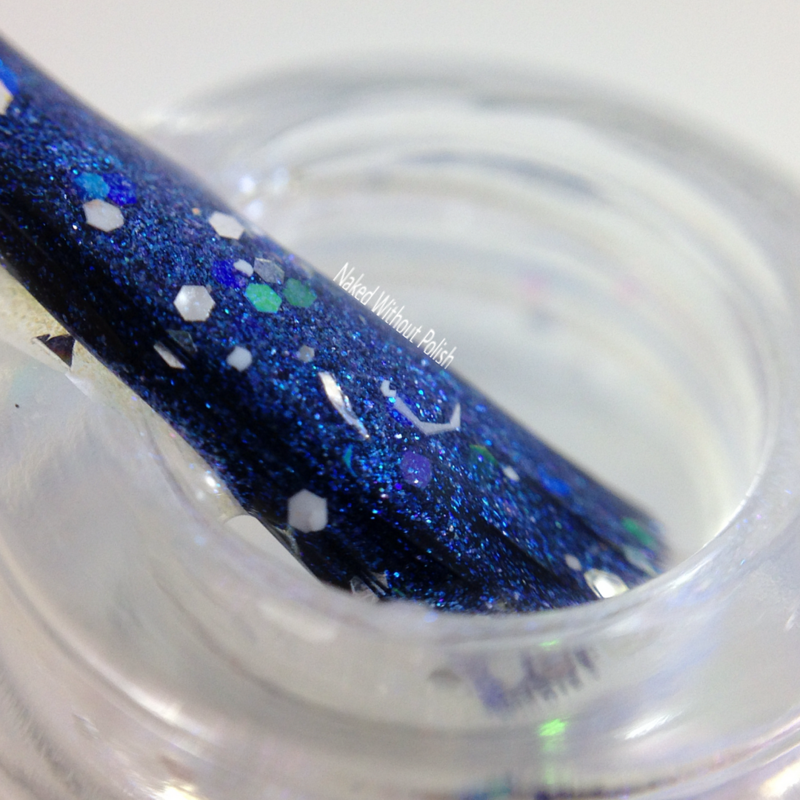 Shown is two coats of Frozen with top coat. Frozen had a buttery smooth application. 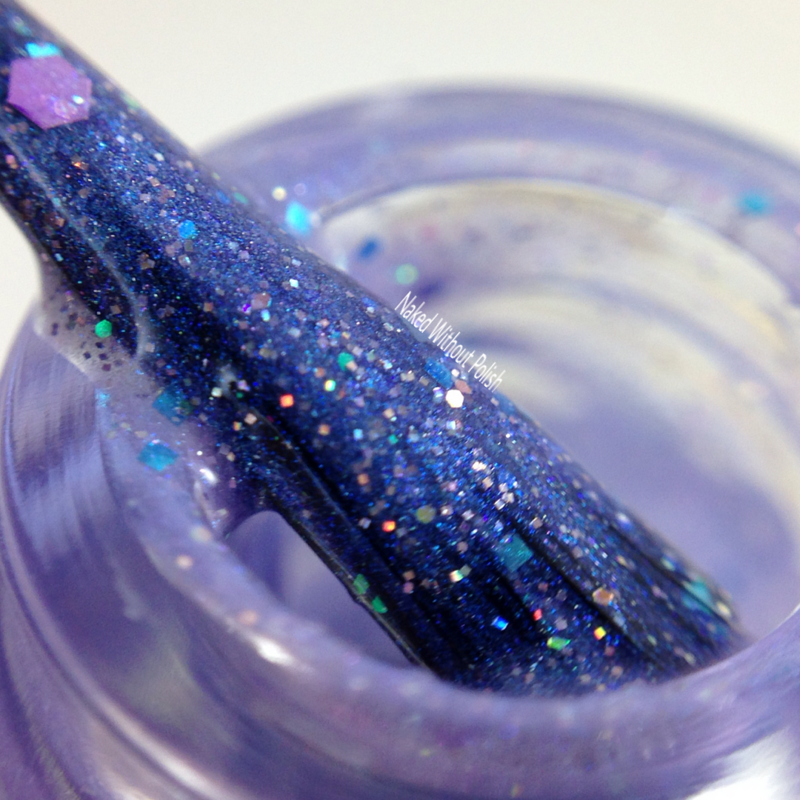 This polish is so smooth it practically applies itself. 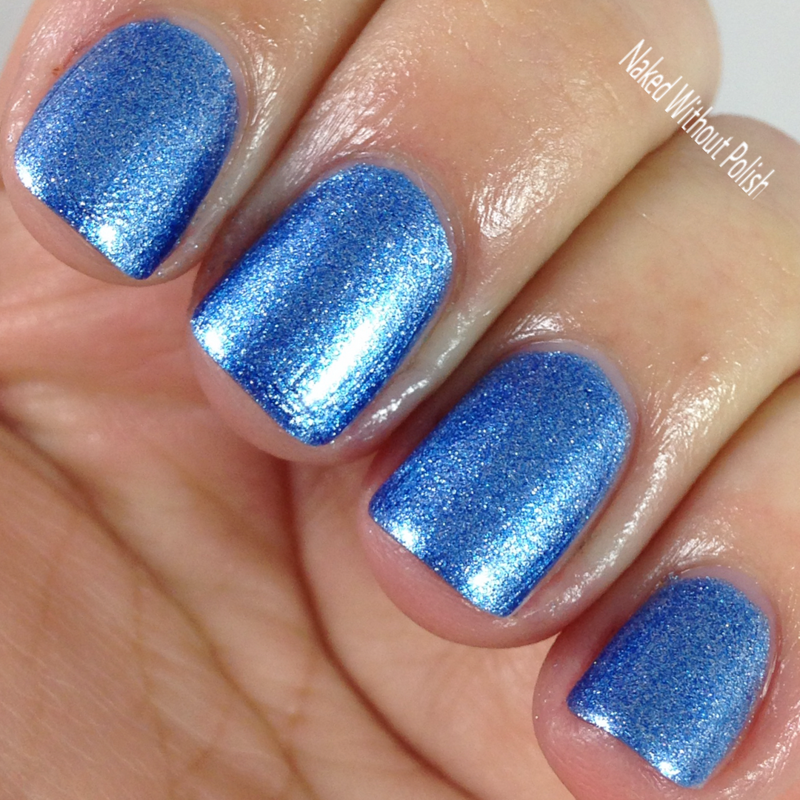 Frozen is one gorgeous shade of blue. 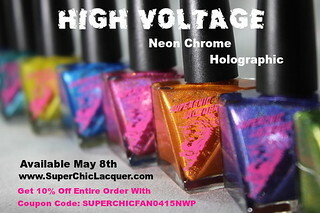 Perfect on it's own, as an accent, or as the base for some amazing nail art! 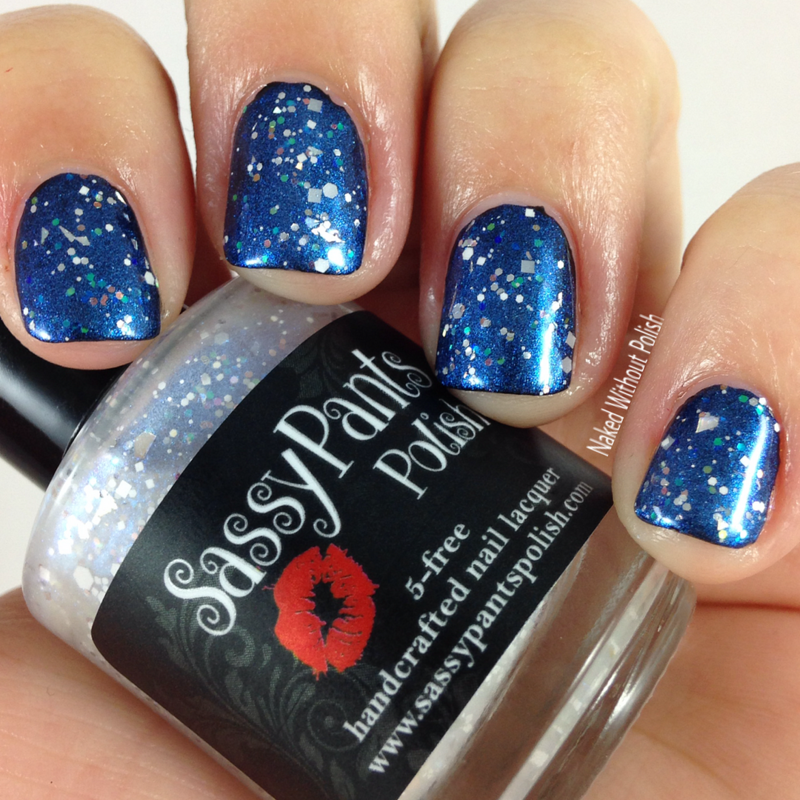 Sassy Pants Polish did a beautiful job with her Winter Trio. Each one holds it's own personality, but they go together perfectly. The Winter Trio is available to purchase now. 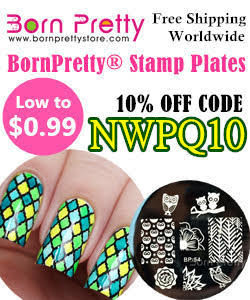 You can get each one individually for $10 or as the trio for $28. 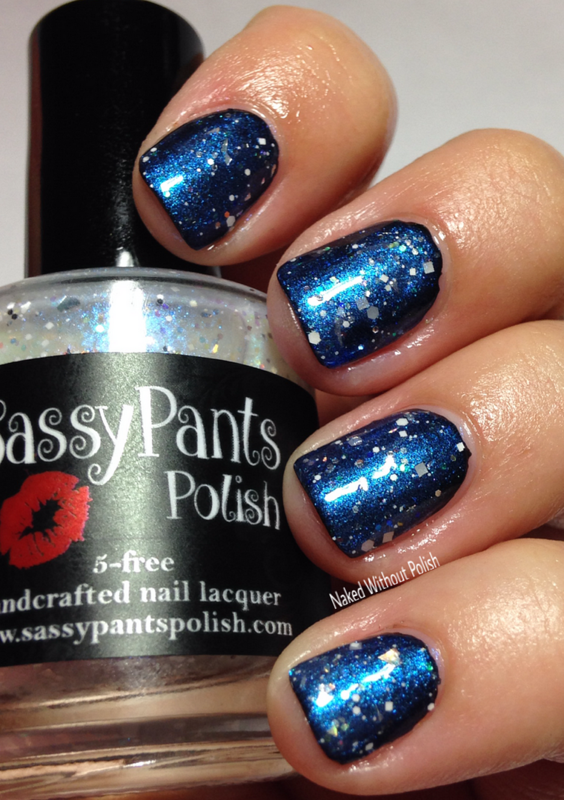 Make sure you are following Sassy Pants Polish on all of her social media platforms to be updated on news, sales, and releases.